There’s no doubt there’s a growing demand for mobile ordering. We’re already seeing it in highly-frequented food stops. One of our favorite Mexican chains, Chipotle, has an amazing iPhone app that has accepted mobile orders since 2009. A new grilled cheese chain, The Melt, is starting to pop up all over San Francisco and beyond. Their approach to creating a restaurant around a technology is interesting. Just about all of their press coverage has been about the ordering process, and not the food itself. But enabling mobile ordering is no easy task. 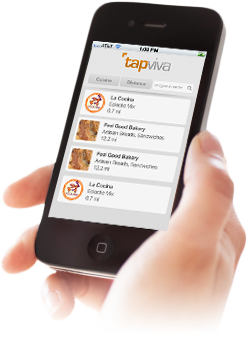 Most restaurants lack the infrastructure to support realtime orders from a smartphone app. We’ve seen large chains sink hundreds of thousands of dollars into making this a reality for themselves, though. The problem is, most restaurants simply don’t want to take the pricey plunge just to make it more convenient for their customers. Smaller restaurants couldn’t do it anyway, as the cost would be 100% prohibitive. We’re absolutely passionate about developing an end-to-end platform for food establishments of all sizes to facilitate mobile ordering. We’re certain the market is approaching a large shift–in five years you will not be forced to wait in line to place your order and pay. You can count on it. After all, we can do everything else on our phone–so why can’t we order our food through it at our favorite restaurants?